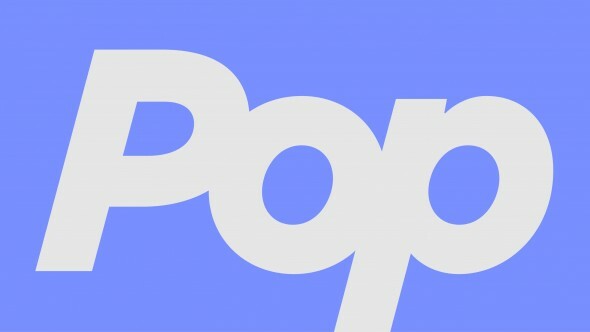 Pop is getting a late night show of its own. Today, the network announced their new series Nightcap will debut in November. The sitcom is “set behind-the-scenes of a fictitious show “Nightcap With Jimmy” where every week, A-list celebrities stop by as they would on any real-life talk show—only this time, viewers get an exaggerated look at the hilarity backstage.” The cast includes Ali Wentworth and guest stars like Gwyneth Paltrow, Sarah Jessica Parker, Paul Rudd, and Kelly Ripa. Nightcap will premiere on November 16th at 8 p.m. ET/PT. LOS ANGELES, CA – July 31, 2016 – Diving into one of the most watched, digitally shared and talked about genres of entertainment—late night television—Pop teams up with Lionsgate, producer/actress Ali Wentworth (“In Living Color”, “Head Case,” “It’s Complicated”, “Office Space”) and showrunners Tom Brunelle and Brad Wollack (“Chelsea Lately,” “After Lately,” “The Comedy Get Down”) to bring viewers a scripted, culture-commentary comedy series NIGHTCAP premiering on Wednesday, November 16 at 8:00 p.m., ET/PT. NIGHTCAP is a laugh at itself, satirical look at the late night landscape set behind-the-scenes of a fictitious show “Nightcap With Jimmy” where every week, A-list celebrities stop by as they would on any real-life talk show—only this time, viewers get an exaggerated look at the hilarity backstage. Guest starring this season on NIGHTCAP are: Gwyneth Paltrow, Sarah Jessica Parker, Paul Rudd, Kelly Ripa, Debra Messing, Whoopi Goldberg, George Stephanopoulos, Denis Leary, Michael J. Fox, Mario Batali, Wendy Williams, Nate Berkus, Jason Biggs, Andy Cohen, Mark Cuban, Mark Consuelos, Jim Gaffigan, Janeane Garofalo, GiGi Gorgeous, Tim Gunn, Mariska Hargitay, Stephanie March, Jim Norton, Rosie Perez, Joel Schumacher, and Beth Stern. Insanity, absurdity and urgency reign backstage at “Nightcap with Jimmy” and it’s up to head talent booker Staci (Ali Wentworth) to wrangle her dysfunctional staff, as well as the myriad of celebrities who bring their quirks, diva demands and peculiar antics each week. “I’m not saying this just because I created and star in the show, but the series is hilarious and Ali Wentworth is phenomenal!” says Wentworth. Celebrity publicist, Malik, needs to find a surrogate for her clients Kelly Ripaand Mark Consuelos, and Staci puts Penny up for the job. Sarah Jessica Parker forms an unlikely bond with a member of the Nightcap staff. Gwyneth Paltrow surprises everyone by being a serial thief and overall filthy woman, leading to a confrontation with fellow guest, Jim Norton. Jimmy’s dog Monty moves into the office, and famous interior decorator Nate Berkus comes to design an office suitable for late night dog royalty. Staci has to convince a reluctant Michael J. Fox to be shot out of a cannon on the show.Jim Gaffigan does everything in his power to hawk his new energy drink, EnerrJesus, on Nightcap. Todd uses questionable means to persuade Nightcap guest, Debra Messing, to make a video for him in character as “Grace.” Meanwhile, Tim Gunn pops by the studio claiming Jimmy asked him to come in for an impromptu appearance on the show, forcing the staff to juggle Jimmy’s wishes with the scheduled guest, a sloth. A lice outbreak at Nightcap forces the whole staff to be treated. But when Whoopi Goldberg arrives for her Nightcap appearance, she thinks the staff’s “treatment” hairstyles are racist, and Staci must decide which is a worse admission – that Nightcap is racist, or has a filthy lice infestation. Booked guest Denis Leary calls in sick, but Staci isn’t having it. Everyone on Nightcap is excited to have Jason Biggs on, but it turns out he’s become a completely different person since the last time he was on the show. Beth Stern has brought kittens that are available for adoption to promote the North Shore Animal League, but there is a problem when one goes missing. Jimmy starts a GoFundMe to make a biopic about himself, and Staci’s job is to get Nightcap guest, Paul Rudd, attached to play “Jimmy.” Wendy Williams is also on the show and bonds with an unlikely person over her wig collection. Staci interviews for an Executive Producer position at Wendy Williams and seriously considers leaving Nightcap. Mariska Hargitay has agreed to be eaten by an anaconda on air, and Todd gets to direct his first shoot starring Rosie Perez—until Joel Schumacherintervenes. What do you think? Are you a fan of Ali Wentworth? Will you watch Nightcap?